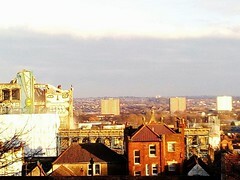 Fifth Capital London Ltd emerged in late 2013 just as the City Council was identifying Knightstone as its preferred developer. Fifth Capital is a private owned company setup in 2011 and based in London. It’s Directors are Marc Pennick and Caroline Pennick. Their accounts for 2012/13 show net assets of £5,983. Their accounts for 2013/14 show net assets of £69,224. Marc Pennick, the Director of Fifth Capital London, was previously a Director of Barretts London. For the last five years he says he has been an independent developer, setting up Montagu Property Consultants in 2011 which was renamed as Fifth Capital London. 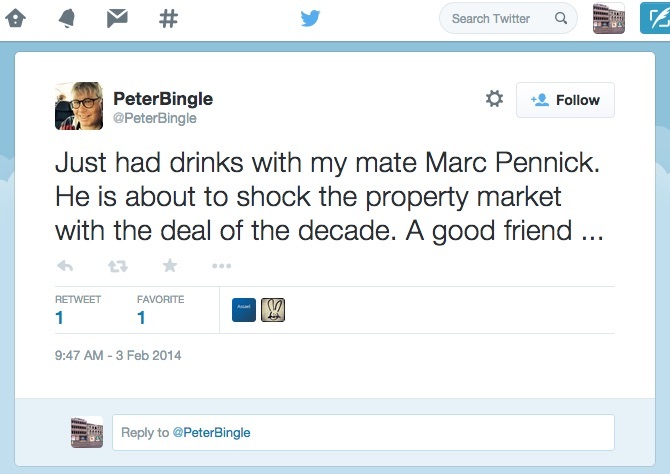 Marc Pennick is a friend of Peter Bingle, a polical lobbyist, former MD of Bell Pottinger and former Conservative Councillor on the London Borough of Wandsworth. Bingle set up Terrapin Communications which has amongst its clients Comer Homes (owner of the Carriageworks), Barratt Homes (former employer of Pennick), Opecprime (another Comer company), A2 Dominion (developer of Hammersmith site – see below) and Fifth Capital. In January 2015 Marc Pennick made a £3,500 donation to James Wharton, Conservative MP for Stockton South. On 10 January 2015 he took Councillor Robert Davis, Deputy Leader and Cabinet Member for the Built Environment at City of Westminster Council, to lunch at Scotts Restaurant in Mayfair. Marc Pennick has a twitter feed at https://twitter.com/marcpennick that mostly relates to his political beliefs. Since CAG first met with Fifth Capital we have been asking them about their previous schemes. This is obviously one way to judge what they will be like as developer of the Carriageworks. By September 2014 they had told us about five schemes and had sent us details of three schemes which they say they’re involved in. But there was nothing in the documents to say that Fifth Capital or Marc Pennick were involved. This isn’t to say they aren’t involved, but equally it doesn’t say they are or what their involvement is. Severn Road, Stourport-on-Severn. Outline planning permission was applied for in 2008 by Arab Investments and granted in 2011 for 159 residential properties, Class A retail uses, Class B employment, Class C1 hotel and Class D2 assembly & leisure. In 2013 an application for demolition of one of the buildings on the site and development of 11 flats was submitted by Stourport Corporation NV, an offshore company registered in Caraçao. The same company is listed as the client for the site architects, Stanford Eatwell. 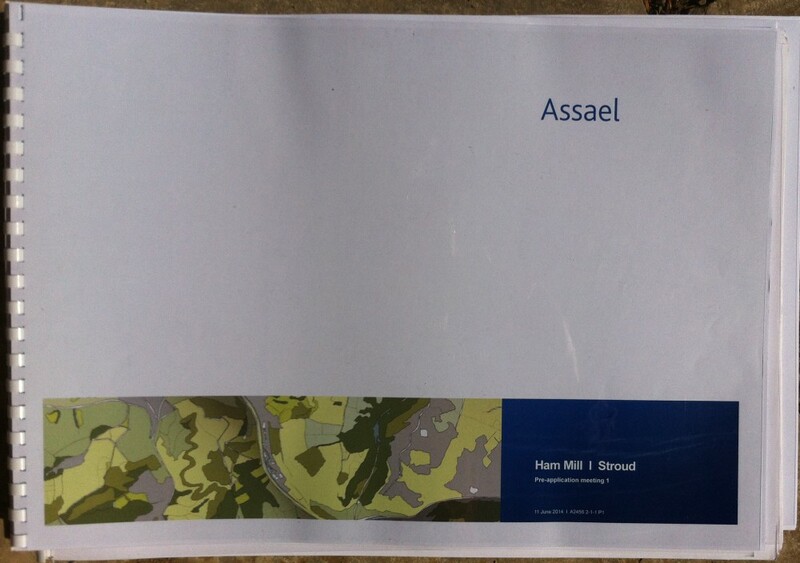 Assael Architecture are architects for Riverside Studios, Ham Mill and the Carriageworks. Who is behind Fifth Capital? To work up a planning application is not a cheap process. Fifth Capital told us they have already spent £400,000. And then developing the site will cost £15-20m. From Fifth Capital’s accounts it is clear that they won’t be funding anything themselves. So where is the money coming from? Marc Pennick tells us that he works with private investors, mostly wealthy families based in Israel and the US. The other schemes that he has mentioned see the involvement of Arab Investments Ltd, a London based investment company setup by Kahlid Affara, that is also the owner of Coffee Republic. Is Fifth Capital linked to Comer Homes? Comer Homes own the Carriageworks and Westmoreland House site. When we met Fifth Capital, in April 2014, Marc Pennick was very clear that, aside from the deal on the site which has given him a “controlling interest”, he has no links with Comer Homes, the current owners. He did not mention the link via his PR company (see above). The Carriageworks site was apparently suggested to him by a bank contact and this resulted in a deal on three Comer owned properties. Pennick believes that he will deliver a much higher quality scheme than any previously proposed by Comer Homes and that his team and the level of upfront investment that he is incurring is testimony to his genuineness. I find this a very dubious proposal, with no other interest than profit and no potential investment in maintaining a Bristol energy in what is a highly creative area. Knightstone have a history, not always positive, in Bristol and their relationship should be encouraged to become a healthy investment in Bristol. This stinks. Send Marc packing back to his property friends in London. What is BCC’s hand in all this gambling? They compulsory purchased the site and recommended it for Knightstone before they (supposedly?) sold it to Corner Homes (who then sold it on to Fifth Capital?). I smell a rotten fish here and I wouldn’t be surprised if the fish wears red trousers. Thanks for your comment Red. Just to clarify one point: the City Council has agreed it will compulsoraly purchase (CPO) the site if it has to, but it hasn’t as yet. To use CPO the City Council has to show there is a viable scheme for redevelopment (it can’t CPO just to landbank), and to have a scheme there has to be (in our case) a developer with planning permission. 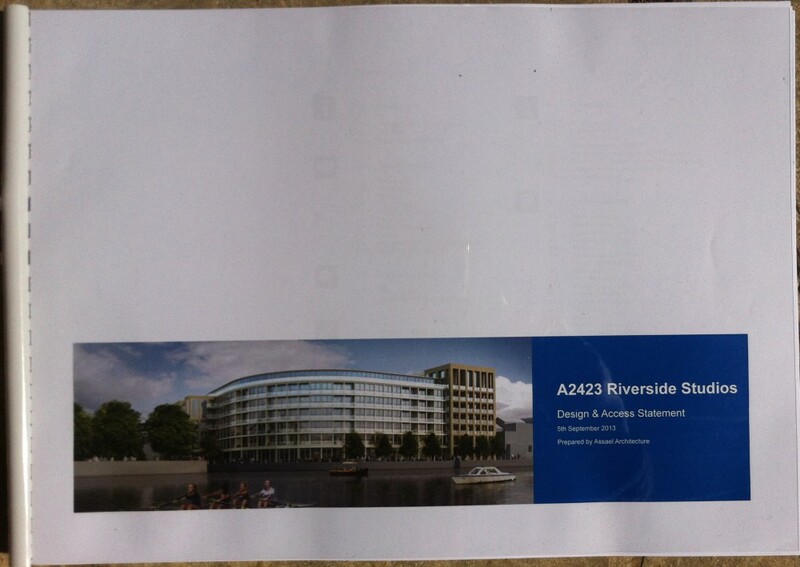 Knightstone is the Council’s ‘preferred developer’. Once the Council has completed its purchase it will sell the site on to Knightstone. For the moment, however, the site remains in the ownership of Comer Homes as it has been for c.25 years. And what about the travellers who’ve been residents of the back of Westmoreland House for 10 years? What’s to happen to them, Marc? Do inform us. Slow off the mark here, not being local, but very interested in what’s going on – and unhappy to hear about events recently via English Heritage. In the current climate it might be useful to look at where the Pennicks and their friends do their banking. Probably Jersey. I haven’t understood how they come to have their hands on the site but BCC definitely shouldn’t be relying on them for the planning consent that will enable a CPO. Net declared assets of under £70,000 should set alarm bells ringing. There is another sort of CPO possible with listed buildings where they are to be CPOd for rescue and conservation, not as part of a land-assembly scheme for redevelopment (which seems to be the one being invoked here). Is anyone looking at that? This Pennick character sounds like a pretty unpleasant so-and-so, judging by his response to and comments about the boss of Aardman Animations.